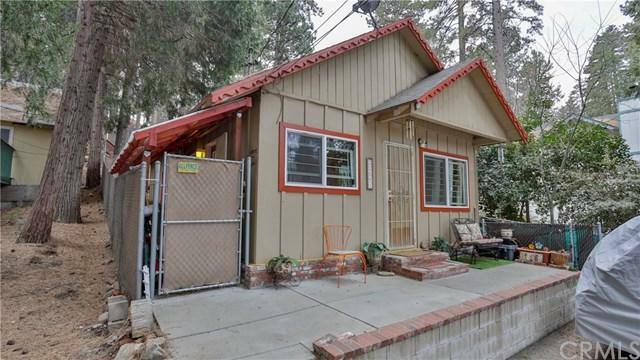 Charming little cottage style cabin home right off the main Highway and Waters drive. Owner has taken special care of this home and completely redone everything. Home boasts two stories with the large master on the main floor and the entire upstairs is the the second bedroom. The KARNDEAN wood inspired flooring came directly from London and adds to the cabin style feel of this beautiful home. Kitchen is complete with plenty of counter space and all kitchen appliances (except refrigerator) are included. Granite counter tops add even more the the cozy warm feeling of this mountain beauty. There is plenty of parking in the concrete driveway, new dual paned windows and security braces for the windows are included. The fireplace is filled with a cast iron stove for heating. The living room has a wall mounted TV and BOSE surround sound system that will stay with the home. The clean out was moved to the front of the home for easy access. Brand new insulation boards were just installed upstairs in the bedroom. All in all this beautiful little getaway is ready to go for a vacation home or new family starting out. Come see this little piece of heaven in the Valley of Enchantment. WELCOME HOME!